Innovative, creative and indigenous, first–time and experienced dynamic presenters working in the fields of human trafficking, including scholars, criminal justice practitioners, rescue and treatment workers, human rights attorneys, investigators into child brides, child adoption, child beggary, and surrogacy trafficking, are invited to submit proposals for the Second Annual Global Conference on Human Trafficking hosted by SAFE Coalition for Human Rights (SAFECHR). This is an interdisciplinary conference that will take place in Washington, DC in order to explore and forge bonds of cooperation and collaborative practices. 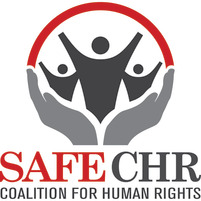 Since its establishment in 2014, SAFECHR has trained more than 1200 advocates, professionals in mental health, public health, public policy and decision-making, child welfare, public transportation, law enforcement, lawyers for civil rights and family law, religious leaders, students, emergency room physicians and nurses, legislators and related child, women, and victim-based service professionals who gather from around the world to expand their knowledge-base, exchange expertise and learn new strategies and delivery models that help vulnerable children, youth, and women. The trainings have been held thus far in the United States. Professionals come from all over the globe to attend this conference and have significant experience in their fields with diverse interests in ending demand, community prevention, research about changing attitudes and traditional approaches, and new evidence based strategic interventions. A select group of presentations will be webcast to the rest of the world with the consent of the presenters and the SAFECHR Conference Committee. SAFE 2016 is a solutions oriented conference for researchers, treatment providers, anti-trafficking operation units who wish to share their work with governmental and non-governmental peers, learn from them how to implement best practices that accommodate the needs of their countries and share innovative practices from other countries that can be effectively used to combat trafficking. It is also for those who wish to fund anti-trafficking efforts and to identify agencies and activities that show potential in anti-trafficking efforts across nations. NGOs and Governmental organizations that wish to exchange expertise. Small programs that have a track record of successful implementation and outcomes. Students who would like feedback about their work and network.